Ads can be a buzzkill, especially when they're so pervasive they become distractions. 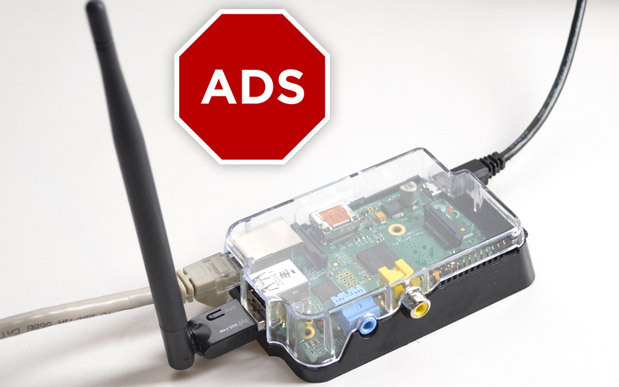 Luckily, Adafruit has a new tutorial that turns your Raspbery Pi into a WiFi access point that doubles as a mighty ad-blocking machine for any device -- be it an iPad or an Xbox -- that connects to it. All you need is a working internet connection, a Raspberry Pi booting Raspbian, a WiFi adapter, an Ethernet cable and the necessary software (which the tutorial breaks down for you). It should go without saying, but Adafruit also includes a reminder to whitelist the ad-supported sites you frequently visit. Blocking ads might improve your online experience overall, but it's always a good idea to support the people who provide you with free content. To get started, check out the tutorial at the source link below. The Sony NSZ-GU1 Google TV device we've seen pop up in FCC filings has been at least partially revealed today, and it's called the Sony BRAVIA Smart Stick. The blog post doesn't specifically mention any Chromecast-style features, but it is an MHL dongle that runs both Google TV and Sony's own BRAVIA apps. The features are just like Google TV boxes Sony has released before, with a remote (that the FCC filings showed is at least similar to the previous ones) that has QWERTY and voice search support. Additionally, its "picture-and-picture" feature lets users see a browser in one window and TV in another. Since it's a true Google TV device it can install and run Android apps from the Play Store, but any other details will have to wait until it's officially announced on Sunday (the truly dedicated can dig into the source code, linked after the break). Of course this does leave one other question: Now that app support is available as a simple plug-in dongle, does that mean Sony is going to ship plain-jane HDTVs and leave the "smart" features for add-on accessories like this one? Update: @CJ_000 points out the web-based instruction manual is up on Sony's site, and should answer most questions about how it works. 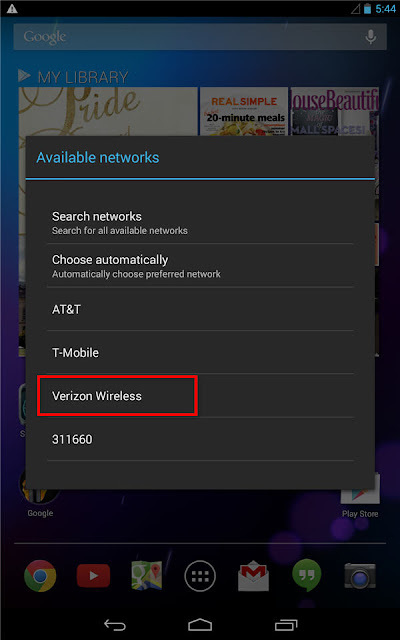 It also lists the pre-installed apps, and at least so far, Hulu Plus is not among them. We're not seeing any DIAL-related features available to start with, so now we really want to know when it will be available, will it work with TVs other than Sony and how much will it cost? Update 2: Reader Bryan points out a page in the manual that confirms this accessory is only for 2013 model year (and later) Sony HDTVs. Intel is quickly transforming its dream of perceptual computing into reality: the company will soon ship motion control technology, and it acquired the gesture interface firm Omek back in July. The chip giant may not be done yet, as there are reports from Spain that it has acquired Indisys, a small natural language recognition company. Details of the buyout are scarce, but the move would give Intel its own voice control software; it wouldn't have to license code from third parties like Nuance. We've reached out to Intel to confirm the acquisition. If real, the Indisys takeover might have come at just the right time -- Intel is swinging its attention to wearables, and voice control is now more of a necessity than a luxury. Update: Intel just confirmed to us that it acquired Indisys on May 31st, and that the deal has already closed. Until Sony started shipping its Triluminos HDTVs, the future of quantum dot (QD) technology in real-world products was mostly theoretical. Now, a company called Quantum Materials has started shipping its "Tetrapod Quantum Dots" material to an unnamed Asian electronics manufacturer, hinting at the possibility of other QD-enhanced products on the market. The company didn't mention any particular devices, but this tech has the potential to create displays that are brighter, more energy-efficient and have greater contrast than the competition. This technology allows companies to create LED-backlit LCDs using a single material as opposed to several on traditional ones -- this supposedly keeps costs low, although the aforementioned Sony HDTVs were anything but cheap. Quantum Materials CEO Stephen Squires specifically claims his company's tetrapod technology works with fewer dots overall and better manufacturing tech to hit the lowest cost possible. Samsung and LG have shown off quantum dot tech in years past -- we'll eventually find out if either one is the anonymous manufacturer in line to mass produce it. It's come to light that the NSA has impersonated Google—and possibly other big websites—in order to intercept, store, and read supposedly secure online communications. 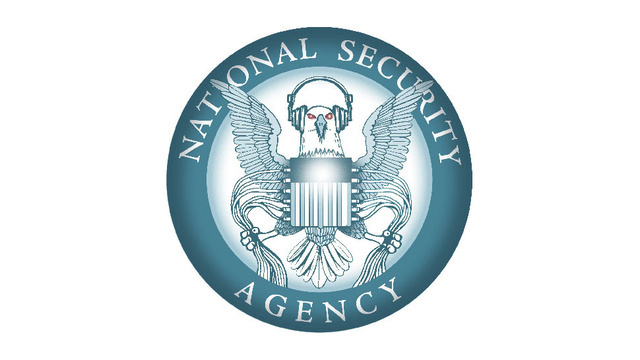 According to the document, NSA employees log into an internet router—most likely one used by an internet service provider or a backbone network. (It's not clear whether this was done with the permission or knowledge of the router's owner.) Once logged in, the NSA redirects the "target traffic" to an "MITM," a site that acts as a stealthy intermediary, harvesting communications before forwarding them to their intended destination. 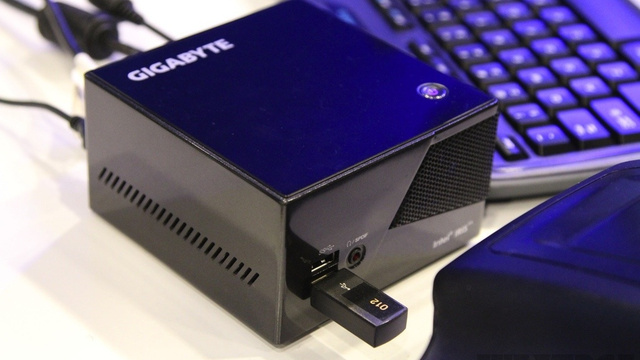 While we had an inkling that Gigabyte would be fitting its latest miniature BRIX PCs with Haswell processors, we were pleasantly surprised to learn it had also built a tiny gaming computer with Iris Pro graphics on board. Indeed, the BRIX pocket gaming PC has similar internals to the recently announced Gigabyte BRIX II -- it has an HDMI port, Ethernet, four USB 3.0 slots, Bluetooth 4.0, a Mini display port, built-in WiFi and a headset jack -- but with the added benefit of Intel's latest integrated graphics and the choice of red, yellow or black aluminum housing. Toronto-based Aesthetec Studio has recently launched a Kickstarter campaign guaranteed to put a smile on your face. See that little guy above? 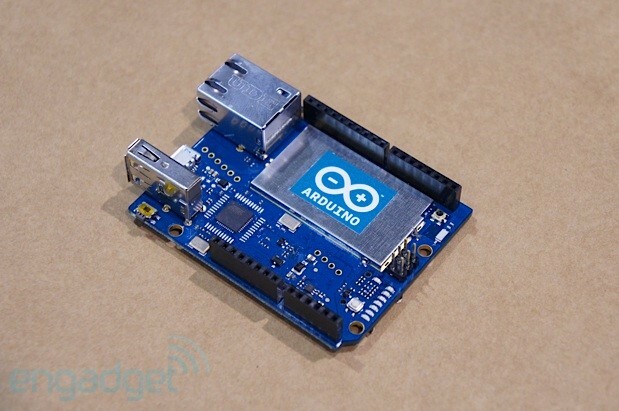 He's what the company calls a Little Robot Friend, a tiny interactive companion with an 8-bit 32K microcontroller brain that can help even the newest of newbs learn the basics of hardware programming. These customizable pocket-sized robots can perform a number of actions (like blinking their RGB LED eyes) triggered by varied stimuli, including touch, sound and changes in light. 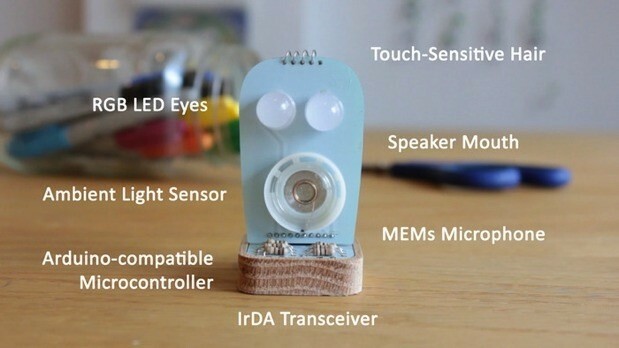 Each Arduino-compatible Little Robot Friend can also be reprogrammed with the developer's kit that Aesthetec hopes to roll out if the campaign hits its CAD$55,000 goal. To see these dudes in action, check out the Kickstarter link below or watch the video after the break. Google loves to throw small-yet-sensible interface updates into many Chrome releases, and the new Chrome 29 for iOS represents a textbook example. The browser's voice search now supports contextual pronouns like "her" or "them;" ask a question and you can run a follow-up search without mentioning the subject by name. The update also lets you quickly jump back to search results if you visit the wrong result, and it's now easier to view bandwidth savings if you have access to the experimental data compression feature. 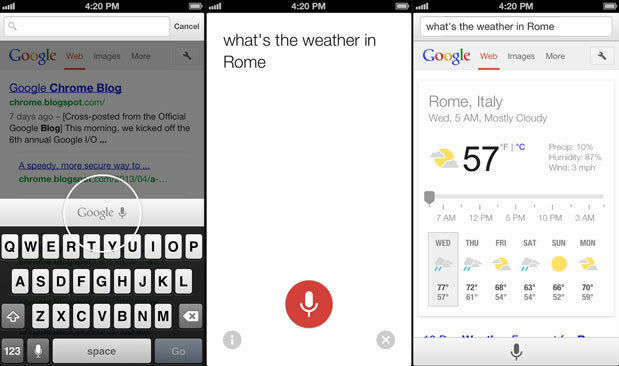 Should you like the smattering of new features, you can grab Chrome 29 now through the App Store. Microsoft's new recycle-for-reward initiative doesn't target one of its own devices -- instead, it focuses on another company's popular gadget: Apple's iPad. The US trade-in program offers at least $200 in exchange for a "gently used" iPad 2, 3 or 4. You can probably get more than $200 in other places, especially for the newer slates, and you can even get cash instead of the Microsoft Store gift cards Redmond's giving out. However, outgoing CEO Ballmer and Co. are hoping you'll find the project helpful if you've been wanting to buy their products anyway -- particularly the Surface tablets, as evidenced by their prominent placement on the program's page. Before you surrender old iPads to give Surface a chance, know that the trade-in scheme will run until October 27th, which gives you time to see Microsoft's next attempt. 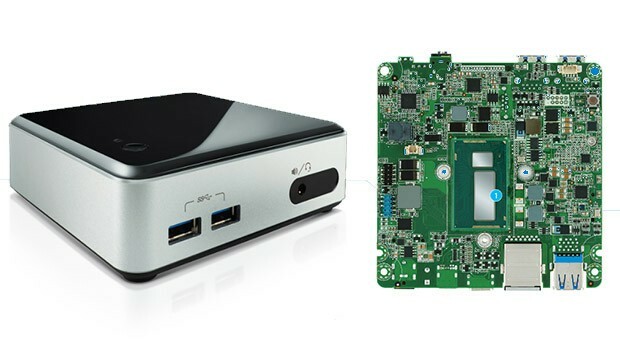 Intel has cranked up its NUC (Next Unit of Computing) mini-computer to near gaming levels of power with the release of its 4th-gen Core-i5 D54250WYK kit. The new model comes with the latest HD Graphics 5000, for one, and also uses Intel's Turbo Boost Technology 2.0 to ratchet the CPU clock past stock levels when the need arises. It's got the chip giant's Quick Sync video to speed up encoding, a DisplayPort 1.2 jack with 4K capability, four USB 3.0 ports, an infrared sensor, stereo/mic jacks and a gigabit Ethernet controller. There's no pricing or date yet, but bear in mind that you'll need to add RAM (up to 16GB), an mSATA drive and some kind of monitor to make it fly -- though dwarfing it with a 4K display (like this one) might be overkill. 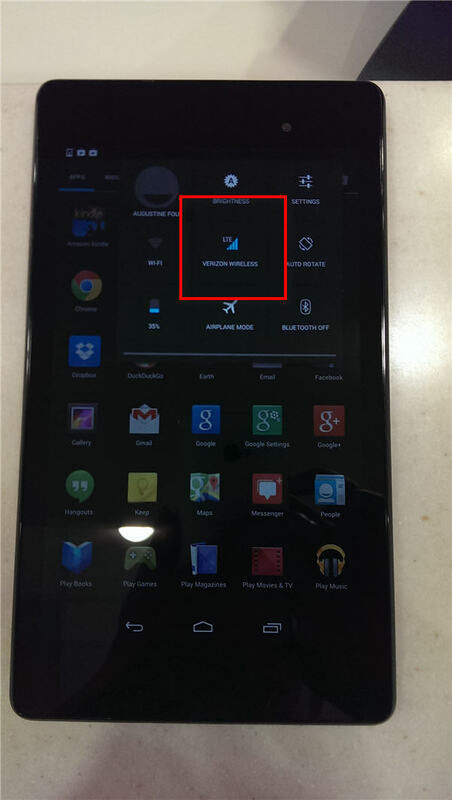 New FCC documents spotted by Phone Scoop have given us a closer look at what could be LG's rumored Nexus 5 handset. 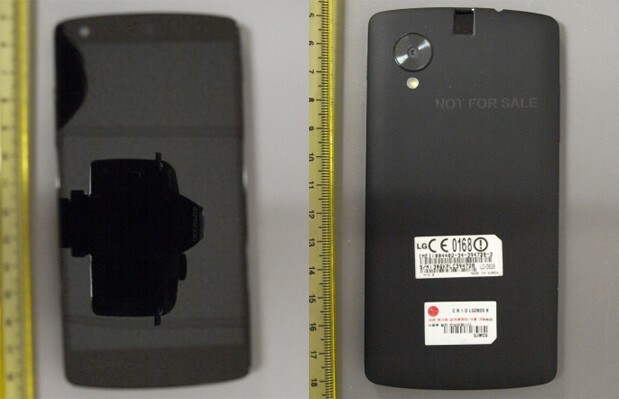 Curiously, photos of this D820 were filed alongside documentation for Verizon's G2 (VS980), but the clear view of the front and back appears to be of the same LG-branded smartphone that was approved by the FCC just a week ago. The D820 offers same rounded-off top and bottom edges found on the Nexus 4, while stepping away from the glass-covered back of its predecessor. Last week's FCC filing also points to LG including a 5-inch display and a Snapdragon 800 SoC, boosting not only its size but performance too. There's also room for Qi wireless charging and support for 7-band LTE, Bluetooth 4.0, NFC and dual-band 802.11 b/g/n/ac. While the shots don't feature the same giant Ne! xus logo we saw on the mysterious LG phone used by a Google employee recently, we're almost certainly looking at the same device. We just hope he got to keep his job. You can't turn back time and become the father of the theory of evolution, sorry. But, thanks to Google, Galapagos National Park, the Charles Darwin Foundation and iNaturalist you can pretend to be a 19th century British naturalist. Today, the Mountain View crew unveiled their 360-degree Street View imagery of the Galapagos Islands that it captured back in May. While you could certainly just drop the little yellow man down and start virtually strolling the paths of this volcanic archipelago with its countless unique species of flora and fauna, the groups have much more planned. 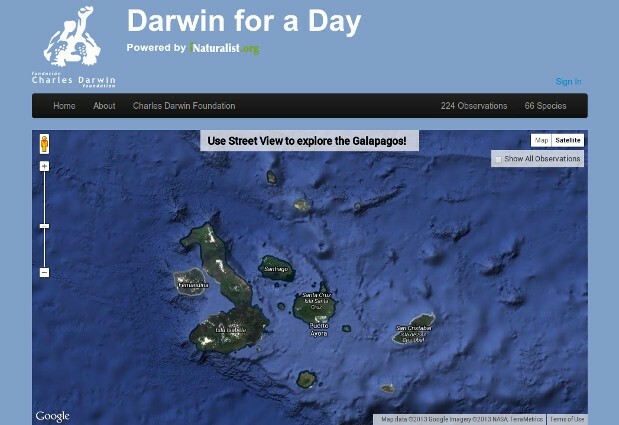 For starters, there's Darwin for a Day, a site created by the Charles Darwin Foundation and iNaturalist that asks for people to play armchair scientist. You explore the islands through Street View and, as you spot plants and animals, you can catalog them and take notes on their appearance. Those observations will then be reviewed by researchers on the island who continue to di! scover n ew things about Galapagos' myriad endemic species. 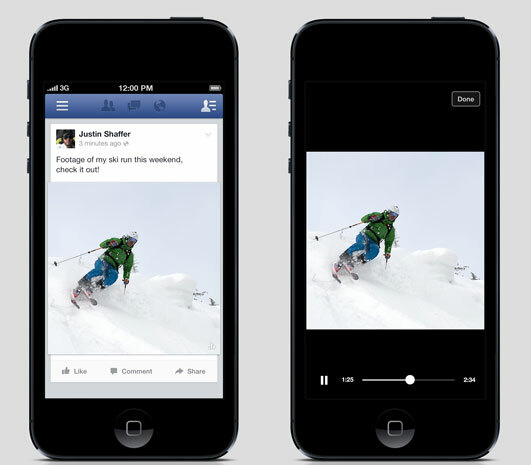 Facebook's experimenting with a new way to play videos uploaded to its News Feed, but not everyone will get to take part -- not yet, anyway. This new Vine-like feature, which will begin rolling out to a limited group of US-based mobile users, allows for videos viewed on mobile to play silently as a user browses the News Feed. Audio will only play when a user elects to click on the video, at which point it will expand for the duration of the clip. So far, Facebook is limiting these auto-play videos to those that come from accounts with verified pages (read: celebrities) and individual users, not marketers. So you don't have to worry about your News Feed getting spammed for now, although the company is evaluating whether or not to let the big bad wolves of the ad world join in. For a preview of what this new video tweak will look like, head on past the break. This new porcelain dripper from Bonavita produces the bold, full-bodied coffee you'd get from a French Press with the convenience and control of pour-over coffee. It's a great way to upgrade your coffee brewing. 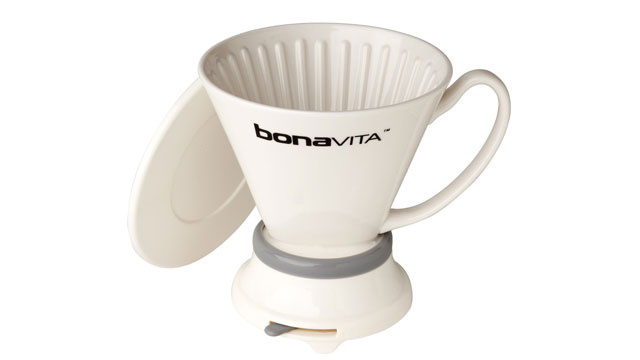 The Bonavita Porcelain Immersion Dripper works like the popular and appropriately named Clever Coffee Dripper. Both have an open/close valve at the bottom of the cone that lets you steep coffee grounds for a few minutes (in a #4 paper filter) before releasing the brew into your mug. Thus, you get the best of all worlds with this hybrid press-pot-meets-pour-over, with none of their downsides. The result is smooth, sediment-free, and complex coffee with really easy cleanup. Bonavita's porcelain version has a few advantages over the plastic Clever. You don't have to worry about the possible health risks from hot water mixing with plastic, and the porcelain retains heat better. It's also really sturdy and dishwasher safe. One downside is the bottom of the porcelain cone has little parts that can be tricky to clean, but, again, you can run it in the dishwasher. Also, because it's opaque, when you first get used to brewing with it, it helps to use a clear or translucent mug or one of those fancy brewing stands. You can get a couple of cups out of this at a time (or one large mug), thanks to the 16-ounce brewing capacity. The Bonavita Porcelain Immersion Dripper also costs $40 versus the Clever's $22, but I think the porcelain dripper is well worth that small investment (as does Serious Eats). Google added Snapseed photo editing to its Google+ apps on Android and iOS back in March, and now it's bringing them to the desktop. The new tools include Auto Enhance, selective adjust editing, and filters, all powered by the Chrome browser's Native Client tech. Not familiar with how that works? 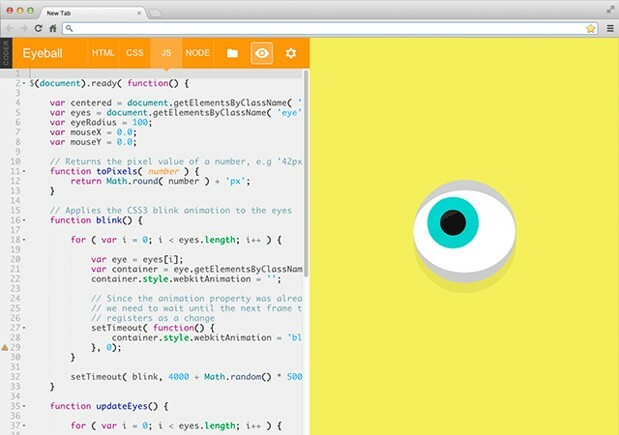 Google brought Native Client to Chrome back in 2011, and it allows developers to port code written in languages like C and C++ so it runs in the browser. Vic Gundotra said on Google+ that this is the Snapseed app built for Chrome, so we'll see if more mobile apps and features follow it over. If you're not using Chrome you'll have to live with basic crop and rotate editing tools on Google+, but even those have been shifted around to make them easier to find. Once the new options are available on your account (as usual, they're rolling out slowly over the next few weeks) all you'll need to do is select one of your photos in Chrome and hit "edit" to see them. Until then, check out the video demo embedded after the break. Variable's been promising an Android version of Node since we first heard about it in early February of last year. The company's finally delivering on that promise with the launch of the latest edition of its modular monitor. 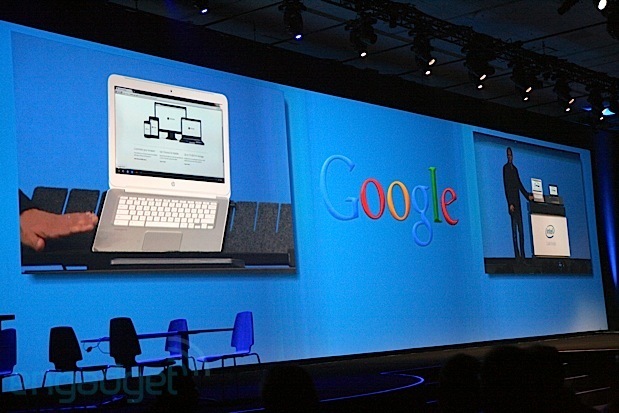 The new Node is dually compatible Google's mobile operating system and iOS. 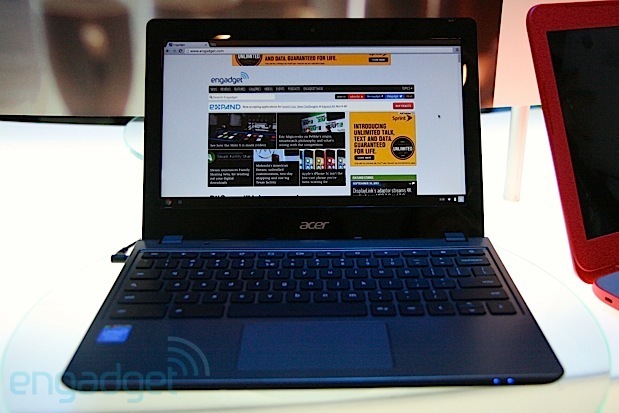 The model also features a souped up wireless sensor, a quicker processor and more memory. That version'll run you $149, a fact the company is celebrating by dropping the original iOS-only version down to $99. Beyond the basics, Apple has said little of how the iPhone 5s Touch ID fingerprint reader works -- we mostly know that it's inaccessible to the outside world. 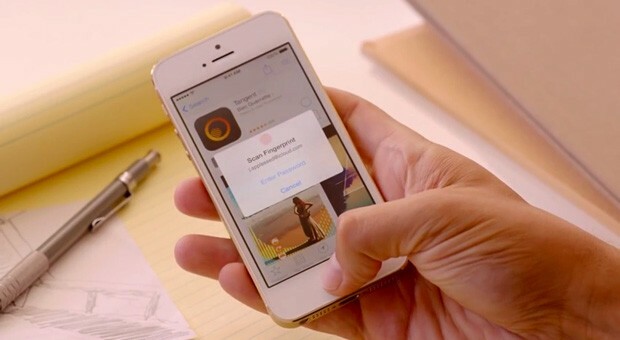 Thankfully, the company has shed further light on Touch ID through statements to the Wall Street Journal. To start, iPhone owners will have to unlock with a passcode if they either reboot or haven't unlocked within 48 hours. The safeguard prevents hackers from simply biding their time while they look for a workaround, Apple says. Legitimate users will also want to keep their hands dry, as the reader doesn't work well with fingers covered in sweat and other liquids. You won't want to try unlocking immediately after running, then, but it's evident that Apple already knows many of Touch ID's real-world limitations. In a way, in-flight WiFi still seems like the future. It's the internet, in the air, while traveling at 30,000+ feet. Clearly, just having access isn't good enough, as a smattering of opponents have stepped into a segment long dominated by Gogo with snazzier, satellite-based alternatives. Over the past few years, ViaSat has stepped up in an effort to offer flyers something that Gogo's existing services won't: streaming video. While Gogo's air-to-ground network is great for latency, it struggles with bandwidth, as anyone on a crowded flight from JFK to SFO will likely attest. 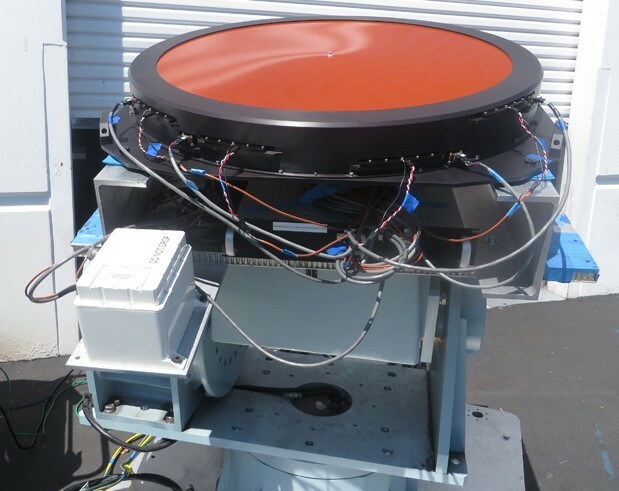 Today, Gogo has taken the wraps off of GTO (Ground to Orbit), described as a hybrid technology that will be "capable of delivering more than 60Mbps to the aircraft." For those keeping score, that's a 20-fold increase from where Gogo started just a few years ago. We spoke to a company representative leading up to the reveal, who confirmed that GTO is a proprietary offering, and will lean on satellites for the downlink while using existing ground-based transceivers for the uplink. For users, that means that latency will remain low, uploads will remain sluggish, and downloads will improve dramatically. Gogo points out that precious little will need to change for airlines to take advantage; there's a new antenna, which is actually half as large as the existing one, but most everything else will remain the same. Virgin America will be the launch partner of the new service, which is expected to be available in the second half of 2014; we asked if any other airlines were onboard beyond that, but were left to make assumptions for ourselves. 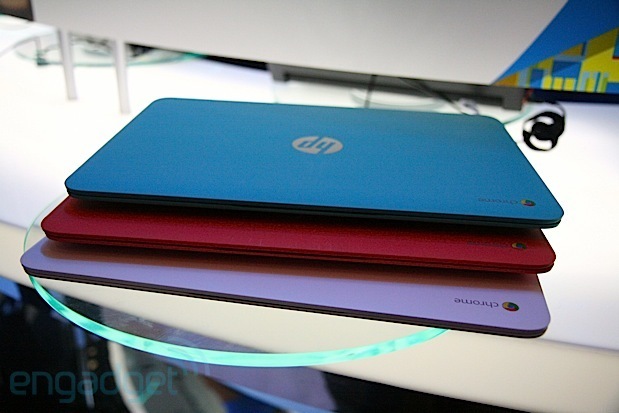 Intel barely existed on the mobile scene two years ago, and yet the company's Clover Trail chips for low-power tablets and hybrids have already had a huge impact on the Windows PC market -- not least by rendering Windows for ARM (aka Windows RT) largely redundant. 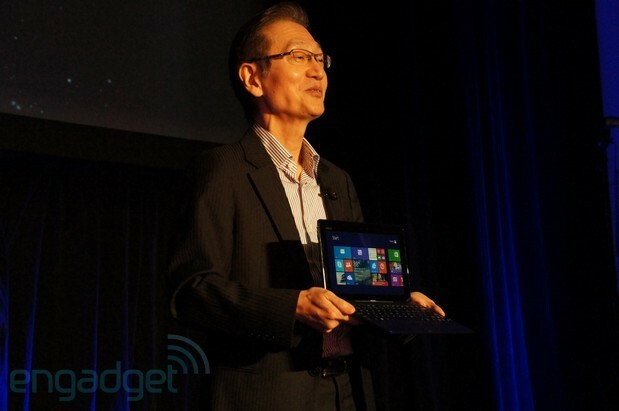 But Clover Trail's performance in devices like the Acer Iconia W3 or Lenovo IdeaTab Lynx is far from perfect, especially with Windows 8 desktop applications and anything that involves 3D graphics, and that's why we're more than ready for its successor: Bay Trail, which is based on the next-generation 22nm Silvermont architecture. 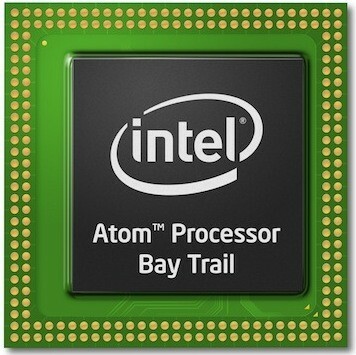 Intel has today detailed three families of Bay Trail chips, the most interesting of which is undoubtedly the Z3000-series for tablet form factors, and you can catch up on these new SoCs right after the break. When smartphones crap out, it's all too often that they end up in a landfill and they stick around for a few centuries and make friends with the rest of our garbage. Dave Hakkens sees things a different way, however. He notes that when a smartphone kicks the bucket, it's usually just a single component that needs to be fixed. 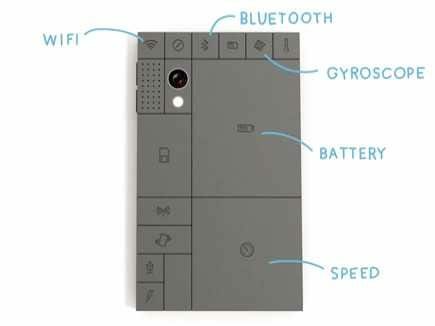 What if there were a device that were part Android and part Legos, literally enabling you to build a custom phone from prefabricated parts to meet your needs. 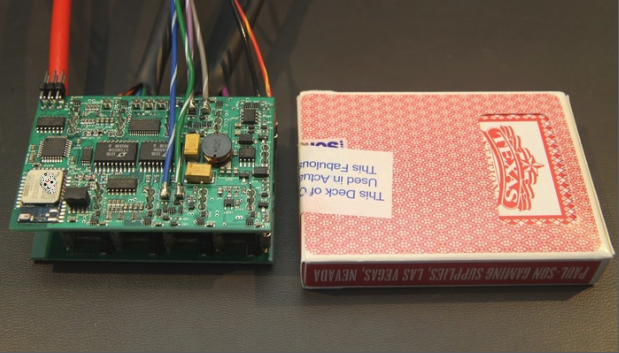 Instead of colorful plastic bricks, however, you're recombining GPS, Wi-Fi, battery, and other smartphone components until you have the phone that's right for you. If you're interested and want to help make this phone a reality, you can learn more here. Check out the video below to get the whole picture. There are plenty of gaming PCs designed to replace consoles, but if you're short on space that normally means accepting something underpowered like the Ouya. 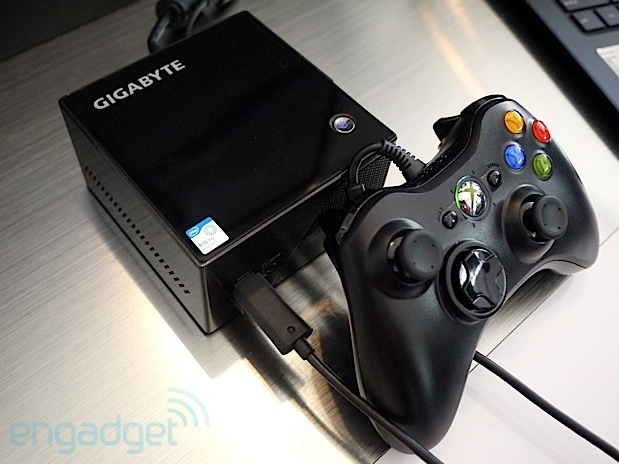 But this little guy, called the Gigabyte Brix II, is both powerful and petite. 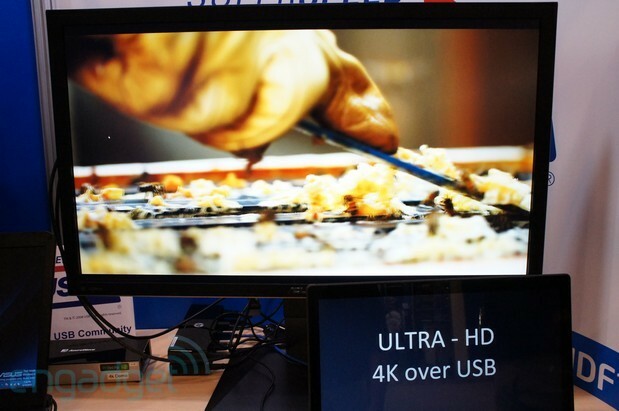 We chatted with Displaylink's Director of Marketing, Andy Davis, about the feature and he informed us that the new 4K capability comes courtesy of a chip design first revealed back at CES that, while upping the max resolution of transmitted video, has no trouble driving multiple displays. 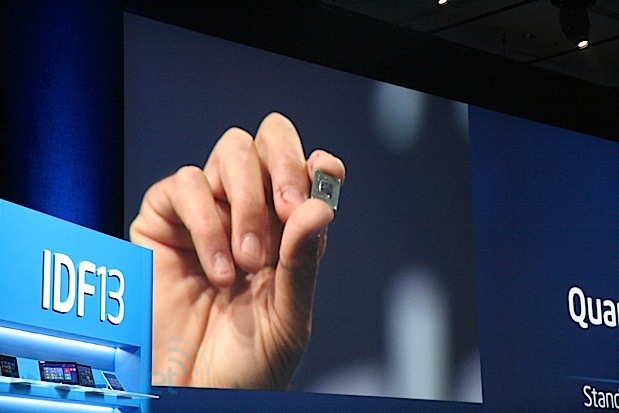 In theory,the number of 4K screens the chip can drive is only limited by the graphics drivers and video decoding capabilities of the computer it's connected to. And, the new architecture also enables wireless streaming of 4K video using 802.11ad and can stream 1080p video over 802.11ac (4K over 802.11ac is in the works). We got to see a brief demo of the technology in action, and the video played back flawlessly over USB 3.0 for the few minutes we saw it work. Using 2.0, we noticed a slight flicker once or twice during playback, but the feed was still quite watchable. All in all, its a nice addition to the DisplayLink feature set. Now if they'd just let us know when we'll actually see it implemented in something we can buy. Just in case yesterday's news that Samsung is ready to enable new features on its Exynos 5 Octa chips wasn't clear, ARM has published a few demo videos to show what it can do. All three are embedded after the break, and the first one highlights how the Exynos 5 Octa 5420 can activate some or all of its 8 cores to maximize responsiveness while launching and using Quickoffice. As you can see above in the screenshot, all eight cores are activated while launching the app, then unused ones switch off for more efficiency. Another video shows how it runs Angry Birds Rio on just the four Cortex-A7 "LITTLE" side of the CPU, rarely activating any of their more power-hungry A15 friends. The last demo video shows how its Mali-T628 GPU activates to process images faster and more efficiently than the CPU alone can. 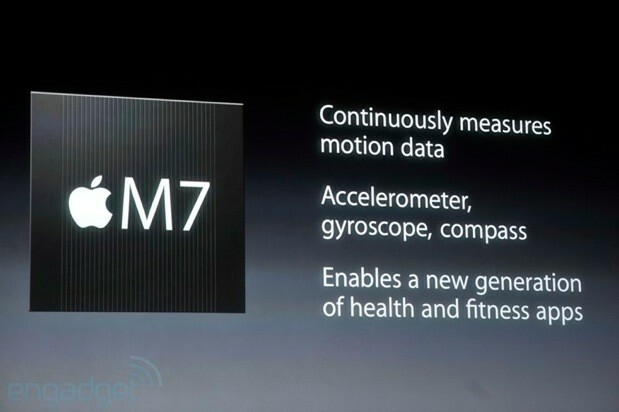 Apple's new flagship iPhone 5s is about to have much more detailed information about how much its users are moving, thanks to a new M7 "Motion co-processor." Unveiled during today's live event, it works along with the new 64-bit A7 CPU to measure motion data continuously from the accelerometer, gyroscope and compass without draining the battery as heavily. 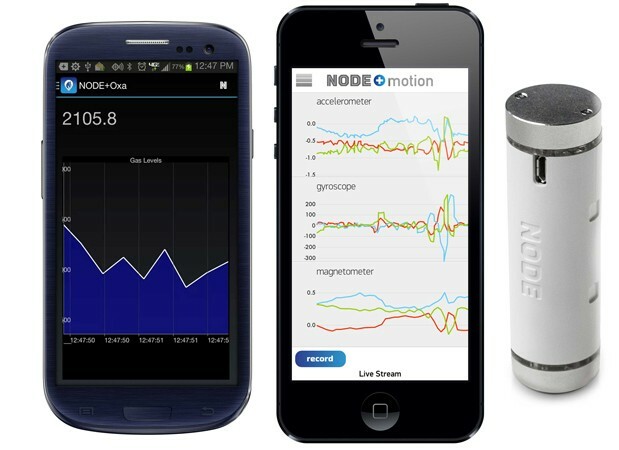 It looks like the iPhone 5s will be ready to take over for hardware extras like the FitBit or Nike Fuel wristband, but with a new CoreMotion API, devs for those companies and others can pull the information into their apps. The CoreMotion API specifically works to identify user movement, and offers "optimizations based on contextual awareness." Overall, it's very similar to what we'd heard would be in the Moto X, although we haven't seen all of these extra sensors used for activity tracking quite in this way. Nike was on hand with a new Nike+ Move app that used the M7 and GPS to track users' activities, and we wouldn't be surprised if others follow closely behind. Nike called the Move app an "introductory experience" to Nike Fuel in a tweet, so maybe it's planning to upsell customers on (potentially?) more detailed tracking with its hardware add-ons afterward. 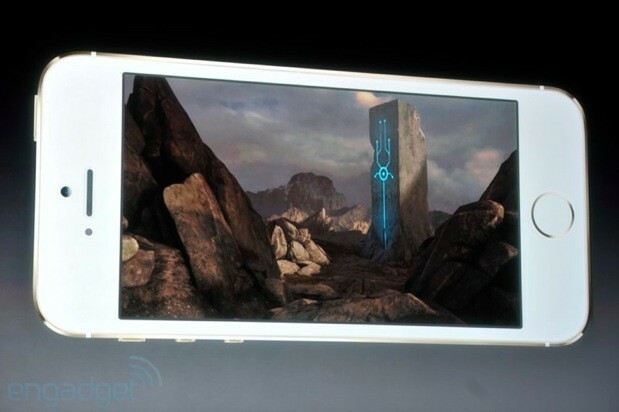 Donald Mustard, co-founder of Chair (owned by Epic Games), just hopped on stage at Apple's hardware reveal and pulled back the proverbial curtains on Infinity Blade III, the final installment in the series. The game's making use of the iPhone 5s' new 64-bit architecture, and it has the graphics prowess to prove it: combinations of rendering effects including depth of field, blur and full-screen vignettes. Not to mention lens flares "that would make J.J. Abrams proud." According to the developers, converting the game to 64-bit took just two hours, so developers with apps of their own need not fret. Infinity Blade III is slated to be "available alongside the new iPhone 5s," which should get a release date of its own in a few minutes. Update: The iPhone 5s will be hitting shelves on September 20th, so Infinity Blade III should break into the App Store with it.